I found this engine about two years ago, and it's now in the final stages of restoration to running condition. 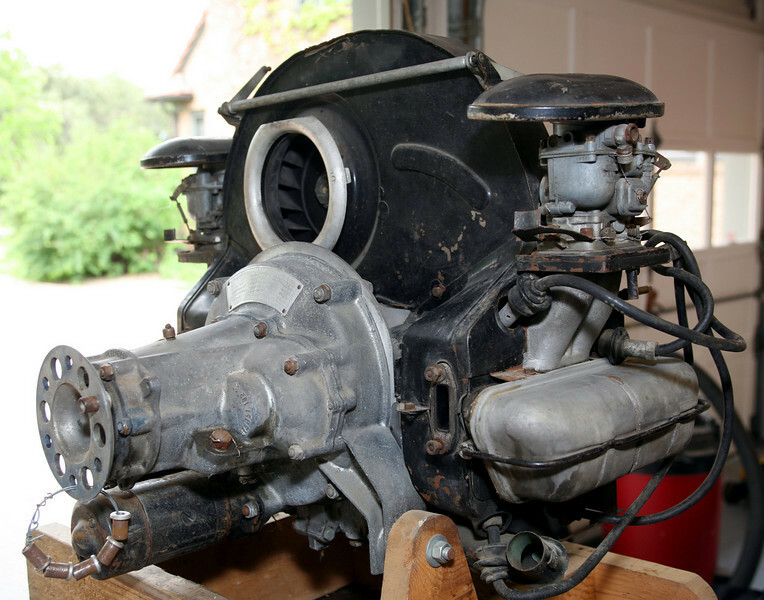 Porsche began building aircraft engines in the mid-1950s, beginning with the 1,580-cc 678/0. 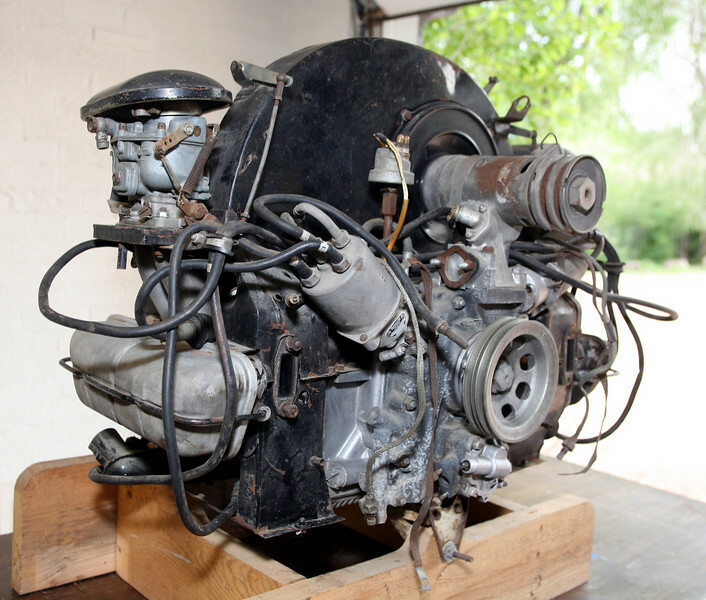 This engine, the 678/4, is the last and most powerful of the four-cylinder Porsche aircraft engines, all of which were based on the well-known 356 automotive engines.. Maximum power is 75 DIN hp (90 SAE) at 4,600 rpm, the modest redline. Bore and stroke are 82.5x74 mm, displacement 1,588 cc, 7.5 or 9.0:1 (revised) compression ratio, weight 114 kg (251 lb). 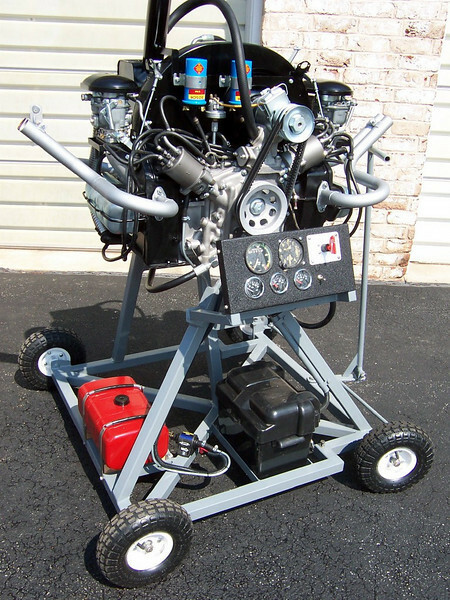 The engine differs from the car engine in many small ways, but its major departures are dry-sump lubrication, dual distributors (or magnetos, as an option) with dual spark plugs, different engine mounts, and a reduction gearbox to reduce propeller rpm to an effective range; gears could be specified as 1.46:1, 1.70:1, 1.98:1, or 2.12:1. A 12-volt electric starter and similar generator are fitted, the latter run off a dual v-belt. The external oil cooler uses a pair of 356 engine oil coolers on a special casting, and the dry-sump oil tank is connected to the pump by flexible lines. A rudimentary exhaust system piped gasses out of the fuselage. 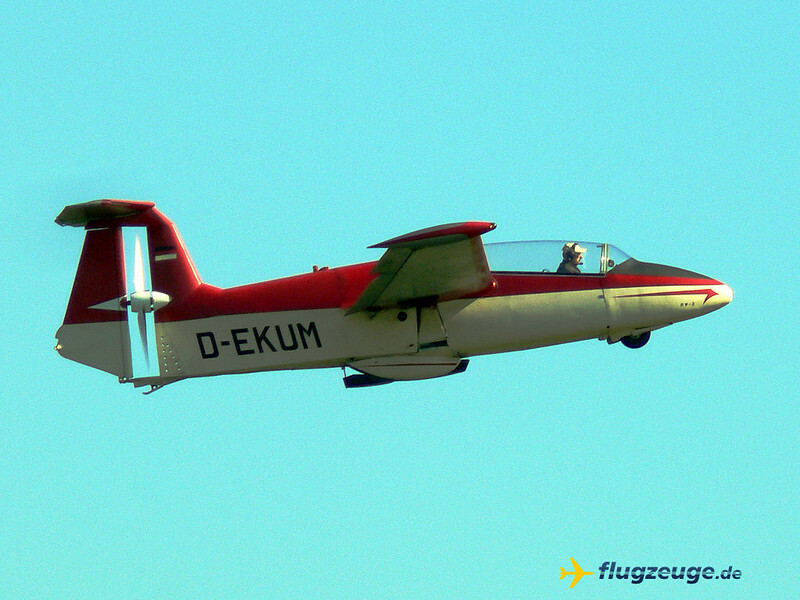 The 678/4's German airworthiness certificate was granted in May 1959, and FAA approval came in October 1960. Porsche�s 1959 list price for the engine (and gearbox) was $1,379. Production reportedly ended in 1962; production numbers are unknown, but it seems likely that only about 100 were made. Earlier versions of the 678 used a low-profile cooling shroud thus could be installed in the aircraft�s nose and cooled by free air blast. The 678/4's larger-shrouded fan air-cooling system, similar to that of the car engine, was only for enclosed rear-fuselage installation, using a pusher-type propellor, but such applications were rare. 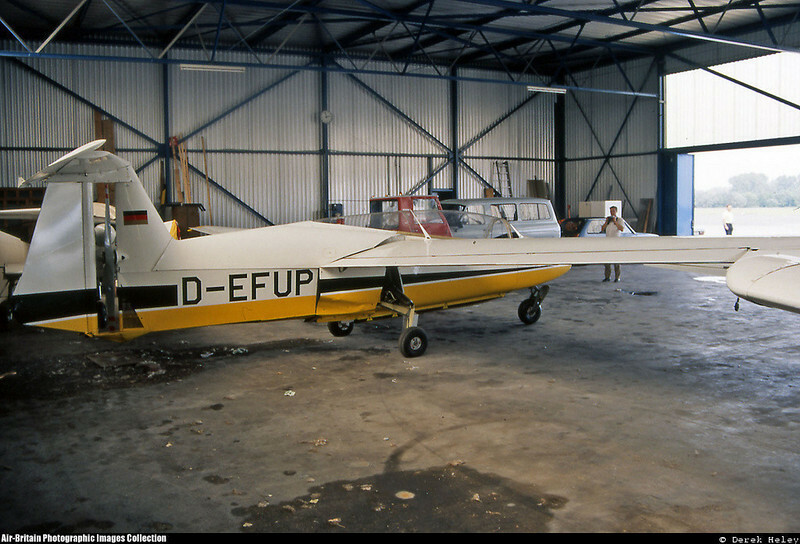 The 678/4 was fitted to the Rhein-Flugzeugbau RW-3, a pusher-type motorized glider with retractable tricycle landing gear, seating for two, and optional wing extension. Its propellor was in the vertical tail just ahead of the rudder, with the engine set just behind the cockpit. The type was first built in 1958, and apparently only 22 aircraft were completed. In 1970, this particular engine, number 125, still powered RW-3 P-75, serial number 19, N111ZZ, owned by J. Walter Goar, of St. Paul, Minnesota. On April 19th, 1977, it was removed from the aircraft by aircraft mechanic George Heide in Central Pennsylvania. Thirty years later I found it in North Carolina. (Coincidentally, I knew George 40 years ago, so when I saw his name in the logbook, I about fell over.) Total time on the engine, 203 hrs, 30 min, is verified in the combined aircraft/engine log book and on the VDO tachometer/hour meter, both of which still accompany it. We resisted the impulse to try to start the engine without disassembly, but we had to replace only the rings, bearings, seals, and exhaust valves, so most of the work has involved cleaning and refinishing. The restorer was able to save the original unusual ignition wiring and connectors, and we found a modern equivalent Champion spark plug. 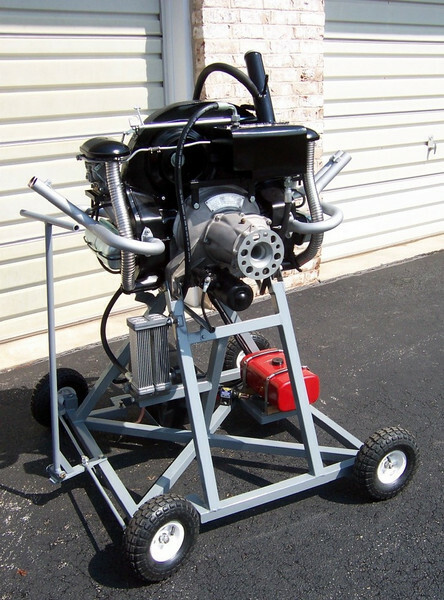 Restoration is now 90-percent complete, and the engine should be running on a portable stand by spring. Here's the "after" photo, with the restored engine on a portable stand. It's been test-run, but the prop and final wiring are yet to be installed. Being on this forum is like talking to yourself, but as I get older I do that more anyway, so no harm, right? Can anyone tell me what the device is that's protruding below the fuselage? So, why did they remove the engine from the aircraft, was the airframe damaged? I don't know. I got the engine logbook and hour-meter with it: 203 hours but no mention of why. So far I have been unable to reach the aircraft owner or his family. Frank, regarding that protrusion below the fuselage, if this engine follows the typical Porsche practice of "fill up the oil and check the gas", I'd have to guess that the protrusion is a remote oil tank/cooler assembly (HA!, sorry couldn't resist). I can just imagine what the aircraft's instrumentation looks like, a big oil level gauge surrounded by smaller, less important instruments (like fuel gauge, compass, needle/ball & airspeed). Looks like you've done a bang up job. Let us know when you get the thing running. I've been pushed around by four-cylinder Porsche engines since 1968 without excessive oil use. Usually it's oil temp that limits performance! This engine has the usual 356-style upright oil cooler inside the fan shroud plus two similar external coolers on a special casting (see photo below, lower left) for extra cooling; these were an original option. Evidently they were positioned inside the fuselage and fed air via a duct; am trying to find out more here. 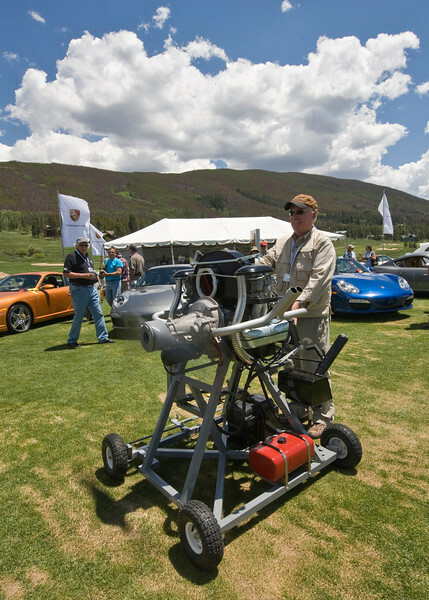 Here's the engine in action in July, at the Porsche Club of America's annual convention in Colorado. Because the engine was a pusher, we mounted the prop appropriately, which is why my hat is still on. That's also why we have dubbed it The Ascender.